Award winning young recorder quartet, Palisander, perform for 24 hours, to raise money for a 6 feet tall recorder! Recently described in reviews as ‘outstanding’ and ‘thrilling’, Palisander is quickly establishing a reputation as a vibrant young ensemble, presenting programmes on a vast array of recorders. 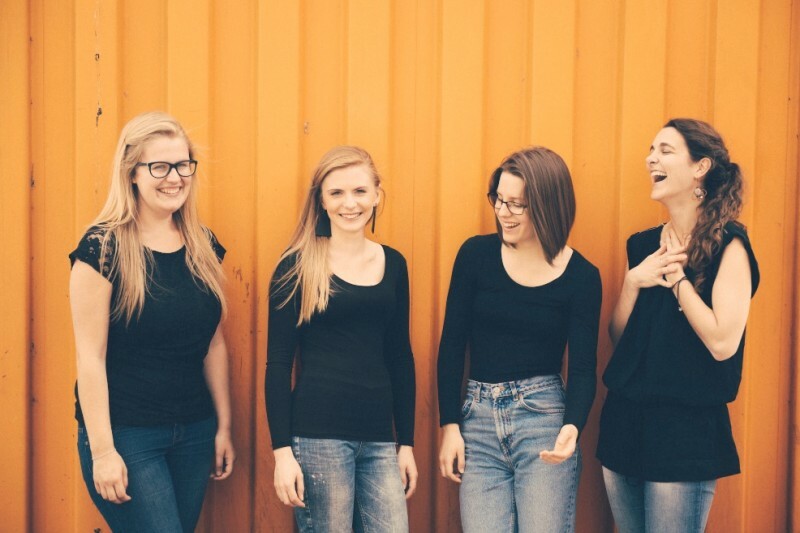 Comprised of alumni from the Guildhall School of Music and Drama, the award winning quartet has performed at the Royal Greenwich International Early Music Festival, Brighton Early Music Festival and the Tel Aviv International Early Music Seminar. The group has enjoyed giving performances at art galleries, gala evenings and contemporary music venues, as well as alongside contemporary dancers and actors, and at London Fashion Week. Plans for 2016 include performances at Newbury Spring Festival, Waltham Abbey Church and the Handel House museum. Palisander gives regular educational concerts and workshops in schools and nurseries. This includes working for the prestigious Live Music Now scheme, founded by Yehudi Menuhin; a charity providing access to live music for the elderly and for children with Special Educational Needs and disabilities. Previously, the quartet worked at the Wigmore Hall’s Chamber Tots series. Despite independently investing in over 40 recorders, which we share within the ensemble, we still require others in order to perform the 900 years worth of repertoire available to recorder ensembles. Palisander is raising money to buy its own 6 feet tall, contrabass recorder. We are nearly half way to the total cost of the instrument and have £2,400 left to raise before May 2016, when we will lose the funding we have already received. For fun, we will be performing non-stop, from 10am Saturday 20th Feb to 10am Sunday 21st Feb at Chromacode Studios (E8 4EH), with various events organised for the public during the day. Please help us to purchase an instrument which is vital, in order for us to continue offering high level concert performances and exciting workshops and family concerts. 1 month ago today, we had just finished our 24 hour Recorderthon. Now we are the proud owners of a Kung Contrabass! We need to say a big THANK YOU to everybody who has helped us along the way to our new 6 foot recorder, and what better way to do so than through the power of Abba? Recommend you listen through headphones to hear a bit more of the biggun! Thank you for your support, everyone. Thank you for your support. Wish us luck for the big day tomorrow! Please help us to continue spreading the word, less than a week to go now! Thank you so much to everyone who has supported us so far. Check out this video to see why we're doing this! Thank you so much to everyone who has supported us so far, we are now less than £1000 away from a contrabass recorder! Please keep sharing details of the day, we so appreciate the support. Yeeha! Congratulations ladies. What a badass instrument. All the best from Bruff, Co. Limerick! Great job Caoimhe!! What a cool thing to do!! !